We are committed to someday making each idea about what ‘Justice’ means become a reality. While we have made tremendous advances in our movement, we remain conscious of what work there is left to be done so that all people who are a part of the LGBTQ+ community are affirmed and treated as equals. We are committed to someday making each idea about what ‘Justice’ means become a reality. 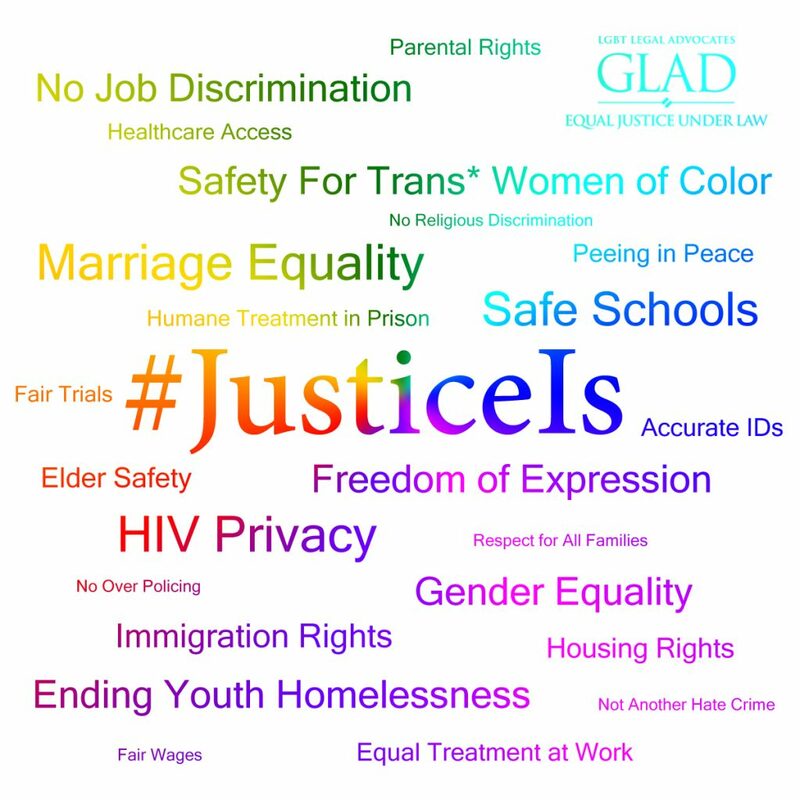 Check out some of GLAD’s recent and ongoing work on transgender rights, issues impacting LGBTQ youth, and advocacy for those living with HIV. Additionally, more than 100 LGBTQ nonprofit organizations and foundations have come together on the campaign Our Tomorrow to “engage our community in a conversation about our future.” Your ideas will help build a bigger, bolder movement that leaves no one behind. Share your thoughts, hopes, and fears with us and so many others on Our Tomorrow, and tell the world what Justice means to you.